No past experience in using AutoCAD 2D is required. However, participants are required to have a basic understanding of Windows, such as an ability to work with multiple windows and navigate the desktop, as well as having an understanding of computer file storage (i.e. drives, files and folders). If you are unsure if this is the right course for you, feel free to contact us for advice. Register before 01 Apr 2019 for only RM1,199 per person. Register before 07 Jun 2019 for only RM1,199 per person. For 2 paxs registration, the 2nd person will be entitled to 20% discount. Register before 11 Aug 2019 for only RM1,199 per person. 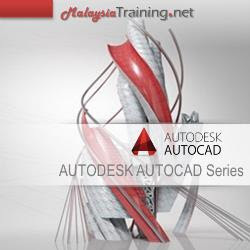 This is a 2-day AutoCAD training course that designed for beginners. It helps you to become more confident in AutoCAD by guiding you through the fundamentals of how AutoCAD works. This training gives you the opportunity to create plans and drawings in order for you to experience the practical use of AutoCAD. It may yet to turn you into an expert, but will definitely make you very comfortable working with AutoCAD, including being able to create simple plans and drawings all by yourself. By the end of this course, students will find them getting more comfortable working with AutoCAD independently. They will be able to create AutoCAD 2D drawings, navigate the environment, manipulate AutoCAD 2D objects and plot drawings.